The MA-100 is a small diaphragm, vacuum tube condenser microphone with interchangeable cardioid and omnidirectional capsules. 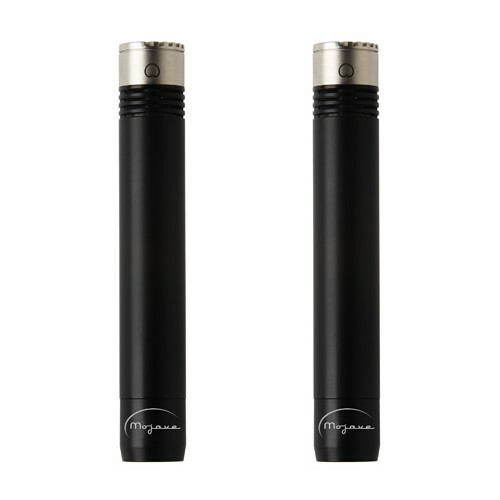 The latest in a lineage of successful microphone designs by David Royer, the MA-100's 'cathode follower' design allows use on high SPL instruments such as drums and guitar amplifiers, as well as the more common applications of a small diaphragm, vacuum tube condenser microphone, such as acoustic instruments, cymbals, stereo pairs and pianos. Featuring hand selected 3 micron capsules, high quality Jensen audio transformers and military-grade JAN 5840 vacuum tubes, the MA-100 performs at a level reminiscent of some of the best loved classic small diaphragm tube condenser microphones. The MA-100 power supply can be set for either 115v or 230v via an external switch. Each MA-100 microphone, power supply and cable set is burned in for 24 hours, carefully tested and evaluated, then packaged in its protective case. Why choose a small diaphragm microphone? Because small diaphragm microphones offer some distinct advantages over their larger brethren: more consistent polar pattern, better transient response and ease of placement. The MA-100 takes this even further with extended low-frequency response and high SPL handling capability.